Eric Mahl is the Music Director of the Western Connecticut Youth Orchestra (WCYO), Conductor of the Philharmonia Orchestra at the Third Street Music School Settlement, Artistic Director of the Harmony Program Youth Orchestra North (HPYO), Artistic Director of the New Jersey Young Artists Ensembles (NJYAE) and assistant conductor of the Greenwich Village Orchestra in New York, New York, Mr. Mahl is a musician who believes in the transformative powers of music above all else. His hope is to provide meaningful, enriching and educational musical experiences to as many people as possible. Under the belief that the study of music is essentially an exploration of the human condition, and that classical music is infinitely beneficial for every human, he strives to cultivate an appreciation and understanding of music played with the highest possible level of artistry. Mr. Mahls’ past positions include assistant conductor to the contemporary music ensemble Orchestre 21, in Montreal QC, and Urban Playground Chamber orchestra in New York, New York, Conductor of the Fredonia Symphonia, cover conductor for the Orchard Park Symphony in Buffalo, NY, and assistant to all orchestral and operatic activities at SUNY Fredonia, in Fredonia, NY. He has had guest conducting experiences with the Los Angeles Guitar Quartet, the Ridgefield Symphony Orchestra, Greenwich Village Orchestra, The Chelsea Symphony, Urban Playground orchestra, and the University Orchestras of the College Conservatory of Music at Cincinnati (CCM), Orchestra de l’Universite de Montreal, and SUNY Fredonia. premiere of Tim Kiah’s “Song of Zippy,” as well as music by Bartok. As a passionate Educator, Mr. Mahl teaches all ages and instruments at a number of schools throughout the five boroughs of New York City, and frequently works with student musicians from underserved communities. As a firm believer that music can provide a transformational experience for any child regardless of background, he attempts to engage and inspire students from as many cultural and geographic backgrounds as possible through community engagement activities such as free lectures, workshops, and concerts whenever and wherever possible, in addition to working with student orchestras and giving lessons. Mr. Mahl received his Bachelors of Music in Education from Ithaca College and continued his studies both at Universite de Montreal and the State University of New York at Fredonia, where he received his master’s degree. He has studied with some of the foremost conducting pedagogues in the United States including Marin Alsop, James Ross, Harold Farberman, Neil Varon, Marc Gibson, Larry Rachleff, Don Schleicher, Jean-Francois Rivest, Paolo Bellomia, and Joeseph Gifford. He has participated in workshops and competitions in the United States, Canada, the Czech Republic; at the Eastman School of Music, College Conservatory of Music in Cincinnati, and Bard College. Mr. Mahl’s Primary instrument is the trumpet, although he is well-schooled in all the orchestral instruments. He continues to perform in orchestral, jazz, and chamber music settings. Mr. Mahl is an outdoor enthusiast, and accomplished cook, and an avid runner. Albert Montecalvo joined the WCYO as conductor of the WCYO Wind Ensemble in 2010 for the ensemble’s inaugural season. He received his Bachelor’s and Master’s Degree in Music Education from Western Connecticut State University and his 6th Year Professional Diploma in School Administration and Supervision from Southern Connecticut State University. Albert was an adjunct music professor at Western Connecticut State University for four years where he taught music education courses, supervised student teachers and conducted the WCSU Symphonic Band. He has also been the Director of the Summer Band Program at the Danbury Music Centre for 16 years and been guest conductor of the Danbury Symphony POPS Orchestra three times. Al conducted numerous award winning musicals at Ridgefield High School for 14 years and at Trinity Catholic High School in Stamford for four years. Every time Tristan Rais-Sherman steps onto the podium, whether it is rehearsal or performance, he strives to create an uplifting and memorable experience. Driven by the belief that the experience of music has the power to change lives, he has steadily been sharing his skills and talents with professionals and students alike–in the United States and abroad. 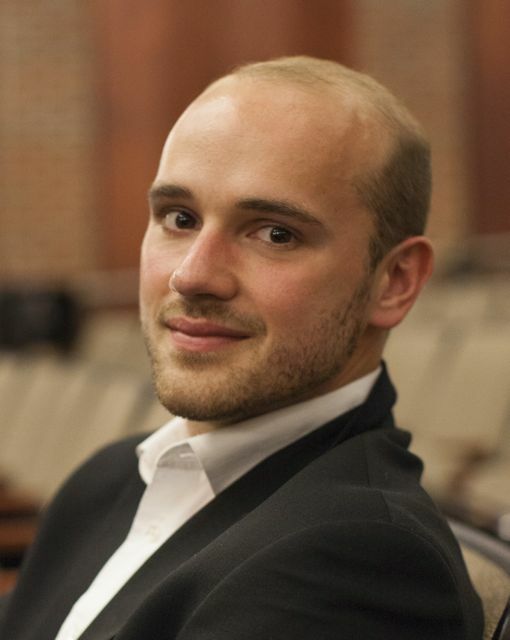 Tristan currently serves as Assistant Conductor with the Syracuse Opera where he provides valuable and perceptive musical support to Music Director Christian Capocaccia. He has recently been named Orchestra Director of the Special Music School at Kaufman Music Center–one of New York City’s most respected performing arts institutions. He served as Assistant Conductor of the New York Youth Symphony, where he ran rehearsals, sectionals, as well as a class for young conductors. Tristan has appeared with orchestras across the United States as well as internationally–including the Aurora Festival (SWE), the Dartington Festival Orchestra (UK), St. Petersburg Chamber Philharmonic (RUS), Berlin Sinfonietta (DE), Chelsea Symphony (NYC), Lamont School of Music Orchestra (CO), University of Michigan Symphony Orchestra (MI), and the Ithaca College Symphony Orchestra (NY). Tristan has worked with mentors and teachers such as David Zinman, Neil Varon, Johannes Gustavsson, Christian Capocaccia, Donald Schliecher, Sian Edwards, Alexander Polishchuk, Kenneth Kiesler, and Jeffrey Meyer. 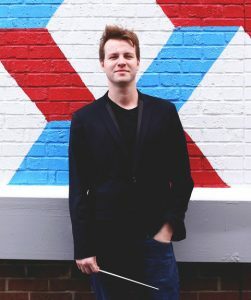 Tristan holds a Bachelor’s Degree in Cello Performance from Ithaca College, and a Master’s Degree in Orchestral Conducting from the University of Michigan.